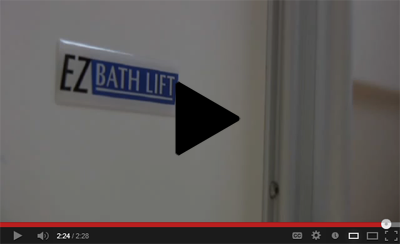 The Molly Bather is the most versatile bath lift available. It allows you to use all of the length, width and depth of your bathtub. 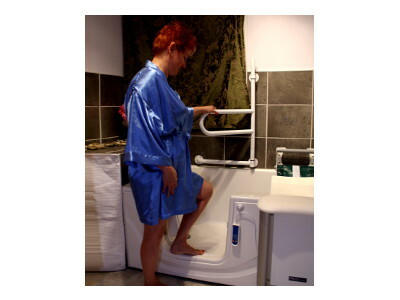 The bath lift is crafted from Satin aluminum and stainless steel, designed to last for many trouble free years. 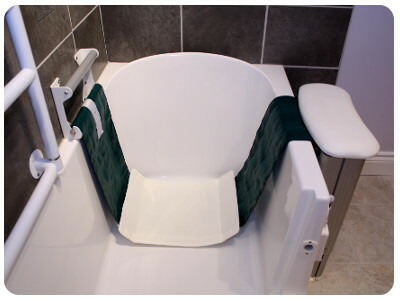 The belt can easily be unclipped from the grab rail so others can enjoy a normal bath. 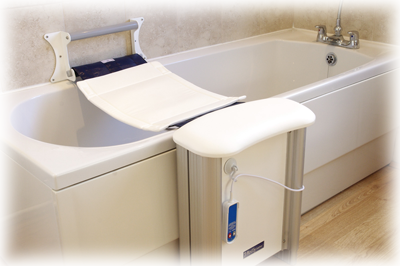 The belt is made of a mesh so that you can enjoy the benefits if installed on a jetted tub. The slip cushion is simply attached with Velcro so that it can be easily removed and thrown in the washing machine for cleaning. 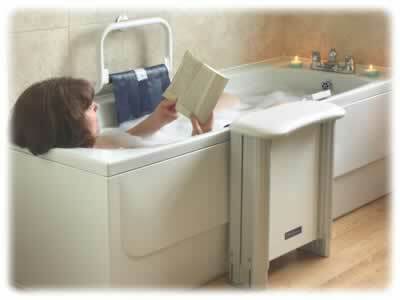 Seat height: 20" - 30"
Bath width (standard): 25" - 33"
Bath width (extra wide): 33" - 41"
Max tub height: 18" - 28"